The Verifone (previously Nurit) 8020 is officially at its end of life. The 8020 is by far the most widely used full-featured wireless terminal on the market today. Verifone has produced the 610 and the 670, but for a number of reasons the 8020 has been a superior terminal to both of these for most merchants. 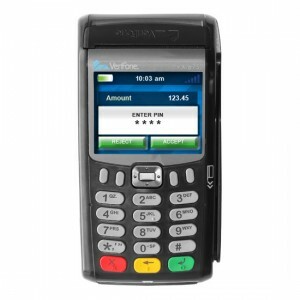 Having to find a replacement terminal, Verifone has recently introduced the VX675 which we expect to become Verifone’s most popular wireless terminal. It comes in at a great price, is EMV ready, and is more appealing than Verifone’s other wireless terminals. We’ve also been very pleased with 2 other terminals we’ve recently been introduced to, the Pax S90 and the Dejavoo V9. Both are very well designed wireless terminals with a ton of features such as EMV and options such as prepaid data plans. Both are offered in GPRS and CDMA versions which is important as some areas, rural especially, do not have sufficient access to one or the other network. Although iPhone and Android processing is the current trend, we still think that full featured wireless terminals have a number of benefits in reliability, security, and function over cell phone based solutions. Many merchant’s sales volume or operational procedures quickly outgrow cell phone based solutions and wireless terminals have been time tested to work for a variety of mobile merchants. We anticipate these terminals to be the standard in stand-alone wireless units for the foreseeable future.